Happy St. Patty's Day to all. 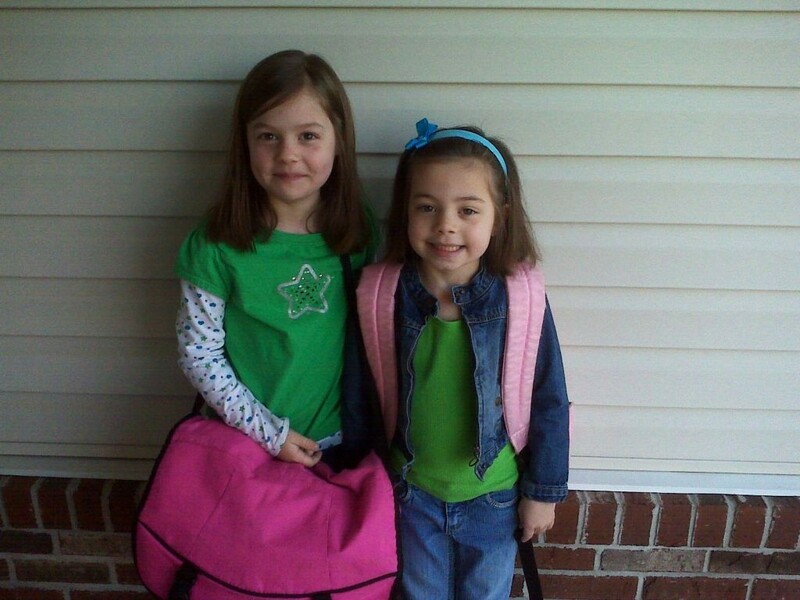 Here are my girls with their green on and heading to school. Madison told me after school, "If we had an "O" in front of our last name it would be an Irish name." I asked what about the "Mc" on our name? She responds, "oh, never thought of that." This is the picture of the day.